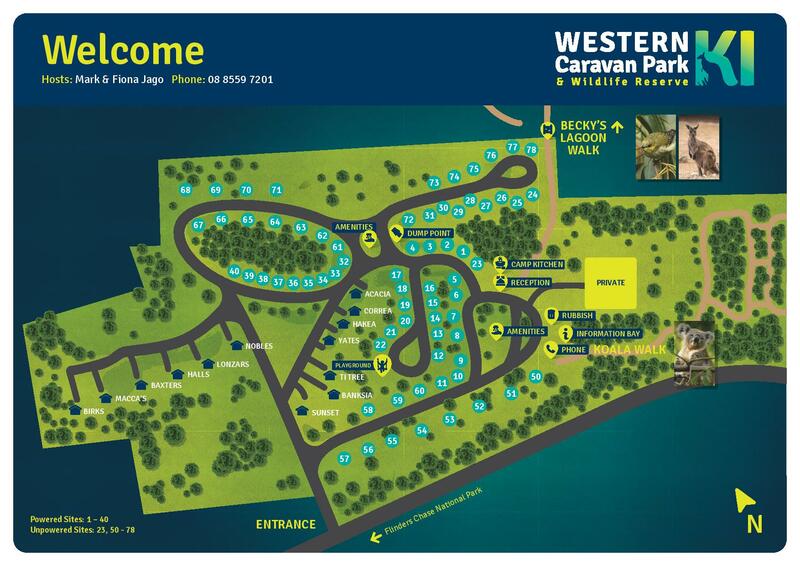 The Western KI Caravan Park and Wildlife Reserve is ideally situated on17ha of natural Kangaroo Island bush and grassland right next door to the internationally acclaimed Flinders Chase National Park. Your Hosts are: Mark & Fiona Jago. If you have any questions about your stay, or our cabins, facilities or anything else, be sure to check out our Important Information For Your Stay guide, before contacting us. Thank you.